The overwhelming majority of traffic tickets and auto accident lawsuits concern operator negligence. This means that the driver is charged with failing to use the reasonable care that an ordinary person would use in the operation of a motor vehicle. The following is a list of the most frequent examples of driver errors that lead to traffic tickets and auto accidents - and how to avoid them. Traffic control devices include traffic lights and other non-mechanical devices such as signs. Traffic tickets for “disregard of traffic control device” most commonly include the failure to obey a red light, a stop sign, a yield sign or a speed limit sign. Accidents caused by the failure to pay attention to or obey road signs and signals are frequently of the more dangerous variety and can cause significant personal injuries. Car crashes at an intersection involve being struck from the side at a perpendicular angle. Modern vehicle safety features such as airbags and seat belts will typically not protect passengers from personal injury resulting from sharp sideways movement. Whiplash is also not fully preventable as it is difficult to prevent the head and neck from being moved quickly and unexpectedly back and forth. A merge onto a highway or intersection may not have a warning sign. A driver entering a traffic circle, entry ramp or any type of merge lane is required to act prudently and carefully and yield to oncoming traffic. Cars traveling on a road or highway have the “right of way” and the driver of a vehicle wishing to enter the roadway or highway bears the responsibility of ensuring that the flow of traffic is not disrupted. A rear-end collision happens when one vehicle runs into another directly in front and strikes that vehicle in its rear end. The driver in the rear has the ability to avoid the collision from occurring and a failure to do so implies negligence. The law typically presumes that the driver in the rear may have been following the car in front too closely, traveling too quickly leaving the driver unable to make a proper stop or simply not paying enough attention to the road in front of the vehicle. At higher rates of speed, rear-end collisions can result in a line of cars being struck, where the car in front is propelled forward into another vehicle. These auto accidents make for complex, complicated cases and can involve three more more different cars. Most frequently, drivers charged with negligence arising from a rear-end collision claim that the car in front of them suddenly stopped short and rendered them unable to avoid impact. This defense is typically never effective because the law requires that the driver in the rear maintain a safe distance and rate of speed from the vehicle in front. The driver must assume that any car on the road may need to brake unexpectedly. Typically passengers in a car struck in a rear-end collision suffer more severe injuries than the vehicle causing the accident. When drivers or passengers don’t expect an accident to occur, they cannot brace themselves for impact. Common personal injuries in rear-end collisions include whiplash (soft tissue injury of the cervical spine), back injuries (soft tissue injury of the lumbar spine) and potential damage to the spinal cord. Facial and head injuries are extremely common when seat belts are not worn and where airbags are not available or deployed. And if you're involved in a collision, you should know how to handle your car accident case right from the scene of the accident. Car accidents are increasingly being caused by drivers interacting with electronic devices. This commonly includes drivers awkwardly trying to handle a CD to insert into a music player, looking quickly at the dashboard to change the radio station or trying to do a one handed dial on a mobile phone. As a result of the increased number of accidents caused by texting while driving, numerous states have imposed heavy fines. In some states, talking on a mobile phone while driving requires the use of a “hands free device” so that the driver can have both hands on the wheel without requiring one hand on the phone. A significant number of accidents occur when drivers attempt to multitask and read a GPS device, map or directions while driving. At other times, drivers will look around to put down a cup of coffee or find food that they placed down momentarily or may have dropped. Proper conduct would be for the driver to pull over to the side of the road to accomplish these tasks. It only takes a moment of distraction to cause a major car accident. A driver is required to make sure that their car or motor vehicle is be safe to drive. Common negligence occurs in the failure to keep a vehicle’s brakes in good working condition or by ignoring alert indicator lights. A driver is responsible to use proper turn signals to alert drivers nearby of an intention to move laterally. It does not matter if it’s just a quick short move to a nearby lane that seems harmless. Many states have headlight laws that require a driver to turn them on during dusk, rain, snow or other adverse weather conditions. A driver may get angry when another driver acts foolishly or recklessly on the road, such as quickly cutting into another moving lane during a traffic jam. Some drivers may get angry and tailgate a car by pulling up closely against the rear bumper of the car, perhaps tapping the car in front. An angry driver may chase another driver on the road, which itself will result in unsafe and reckless driving by both drivers. Such retaliatory measures are counterproductive and usually result in the “victimized” driver potentially being charged as well. 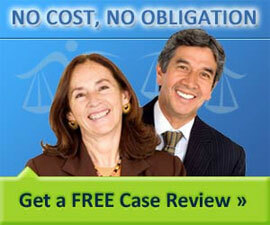 Many feel that they are capable of handling their own traffic ticket or auto accident cases. They tend to forget that, like most people, being involved in such work is a rare occasion. The ordinary person lacks the skill, experience and practice of an attorney. If the matter is of minor importance, then the cost of hiring an attorney may not make sense. But with auto accident injuries, the extent of the injury is not always clear. Having to bear the cost of medical expenses for injuries discovered at a later date could be most troublesome. And where traffic tickets are involved, being issued points will likely increase your insurance premiums. The cost of professional legal help would probably be worthwhile investment if it means a better chance of keeping insurance costs low. For car, motorcycle, truck and all accidents involving motor vehicles, a legal consultation with an auto accident attorney is recommended. They are personal injury lawyers who have a specialty in dealing with motor vehicle and accident related claims. These types of lawsuits are brought in state trial courts. Consultations are usually free and the cost of representation is on "contingency." An auto accident attorney attorney will usually only be paid from the amount of money recovered for the accident victim. A traffic ticket attorney specializes in traffic violations related issues and practices in a local traffic court. A consultation may not be free but the attorney may absorb the cost of the consultation by including it against the cost of representation in traffic court.